Energy Casino seems like it’s been around forever, but the site was established relatively recently – in 2012. Holding two licenses, one in Malta, and the other by the UK Gambling Commission, Energy set out to take its fair share of a wide player base. 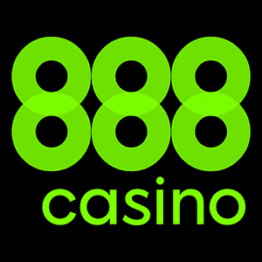 Although not branded as a household name in the same ranks such as Bet365 or Ladbrokes, the casino still set itself apart as a unique gaming destination thanks to a few standout features. We’ll take a look at Energy Casino in and out, and determine how they hold in all aspects an avid player should look out for. Energy Casino welcomes new players with a 100% first deposit bonus, up to a maximum of £150. UK customers can claim this offer if they deposit using any method with the exception of Neteller. It’s important to note that not all games will contribute equally towards wagering the bonus. All Table Games, Video Poker and select video slots (Dead or Alive, Wish Master, Devil’s Delight, Blood Suckers, Lucky Angler, Koi Princess, Victorious, Kings of Chicago, Forsaken Kingdom, Simsalabim, Ladies Nite, Peek-A-Boo, Ladies Nite and Castle Builder) will not contribute at all. As for the Reload bonus, the same terms apply, but in addition to Neteller, Skrill deposits are also not eligible to claiming the bonus. Pure gaming action is where Energy Casino excels at. Their gaming assortment is primarily powered by Novomatic, but also backed up by Wazdan, Microgaming, NetEnt and their uniquely branded Energy Slots. Through titles such as Book of Ra, Starburst, Sizzling Hot, Twin Spin, NRVNA, Gonzo’s Quest and many more, their slots collection is one of the industry’s finest. All of it is backed up by a great selection of Table & Poker games, boasting numerous Video Poker variants and classics such as Roulette, Blackjack, Baccarat, TXS Hold’em, and more. The casino boasts an outstanding lineup of Jackpot games as well, such as Mega Moolah where the jackpot often rises above £10 million, and smaller ones in the likes of Jolly Fruits, Treasure Nile and King Cashalot. Energy Casino boasts a variety of International and UK payment methods to choose from, so much that you will never have to worry when depositing or withdrawing your funds from the casino. All of the methods have no fees one way or the other, and minimum deposits and withdrawals are set at £10 and £20, respectively. If you ever feel the need for assistance during your stay, you can rest assured that Energy Casino is at your disposal through every conceivable support channel. The most efficient ways to get in touch and resolve your issue are either live chat or telephone support, the latter of which includes a designated UK number. Customer support is available Monday through Friday from 09:00 AM to 00:00 CET, and 13:00 through 21:00 over weekends. Energy Casino features a swift and efficient mobile website that works on all platforms and devices. You can access it via your mobile web browsers, as there is no need to download a special app. The mobile casino is greatly tuned to work on smaller screens in a simple manner that puts an emphasis on the games above all else. However, you can also claim bonuses, talk to support via live chat, and perform other convenient functions as usual. The lineup of mobile games is naturally lower than the desktop casino, but there’s still plenty to choose from overall – especially when it comes to video slots. The live casino section features one of the most diverse live table selections in the industry. Roulette itself is available through seven variants, featuring the classic version, low and high limits tables and Golden Ball Roulette. The live casino software, Extreme Live Gaming, has worked with Novomatic to produce intricate slot-branded tables such as Ra Roulette, Dolphin’s Pearl Roulette and Lucky Lady’s Roulette. These tables host new, interesting bets and thematic layouts that’ll surely spice up your gaming sessions. Blackjack and Baccarat are a bit toned down in variety, but not in quality. The tables are hosted by professional, entertaining dealers. They feature quality of life additions such as bet history, live chat, side-bets and more. On the whole, you’ll seldom be left wanting for more at Energy Casino, at least as far as live games are concerned. One thing Energy Casino is very known for are their never-ending tournament sprees. The tournaments are usually held on one or more popular slot games; in which anyone can participate. You rank up on the tournament ladder simply by placing bets. The larger your bet is; the higher amount of points you claim. The best part about these tournaments that most of the time even the Top 100 participants are eligible for rewards, which are usually in the form of free spins. 1st, 2nd and 3rd placed players are given out no less than 100, 60 and 50 free spins, respectively. To those looking to become a long-term player at Energy Casino, which there are definitely merits for, the casino hosts a VIP club for its most loyal players. The club is invite-only, and said invite is earned by accumulating Energy Points, albeit there is no indication on how many points exactly you need to earn. VIP rewards include special events, faster withdrawals, exclusive bonuses and promotions, as well as a dedicated VIP manager. Accumulating Energy Points doesn’t go towards the VIP club only, as those points can be actually used to reap some rewards for yourself. The Energy Shop features small items such as t-shirts, wallets, sunglasses, but also flagship tablets, headsets and even a summer cruise in Malta. Simply by playing, you will earn points at a rate of 20% per £1 spent, which translates to 2 Energy Points. Energy Casino offers a great set of games and a decent selection of bonuses, but the thing that makes it stand out is the unique gaming atmosphere it creates. That is thanks to the frequent tournaments, which are always there to open up an additional venue of entertainment. Moreover, the Energy Points you accumulate are tied to the VIP Club and the Shop, which offer additional rewards at no cost on your side. The casino’s affiliate program offers juicy rewards for new partners, with a 50% commission for the first two months, dropping down to 40% for the third month. After the initial three-month period, the commission will depend on the amount of players you’ve brought it, but it can still reach 40%. Energy Partners also offers a sub-affiliate program, and all partners will receive marketing tools such as banners, landing pages and even write-ups. For the full details you can head on over at their website. In summary, Energy Casino can be classified as a fantastic online casino for the true gamers out there. The great package of games and tournament guarantee endless hours of entertainment, whereas the Energy Points can bestow some rewards upon you as a regular player. As far as bonuses go, there may be better choices out there, but if you prefer playing with your own money, then Energy rivals some of the industry’s finest.